IFFI Goa – Pack up or Gear up! This is the 42nd year of the festival. 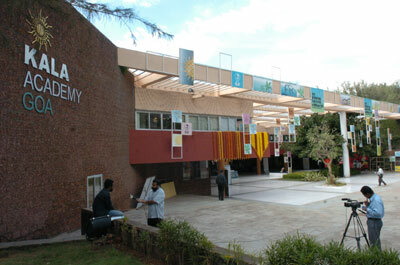 And Goa has been its permanent venue since 2004. Take a quick glance at the festival and the way it’s organised, it’s easy to say that they still haven’t learnt anything in the last four decades. Even by normal sarkari standard, four decades is quite a long time to rectify the mistakes. We have been going to IFFI since it moved to Goa. Here’s what we experienced this year. Plus, some unwanted suggestions. Registration – Trust any government body to make a simple thing look complicated. If you have tried you luck to fill up the registration form online, you will get it when i mean. Not sure why they need your history, geography and biology to attend a film fest. Even that is fine, but God forbid if your application has not been approved for some reason, you will end up spending one day to get a card, as a friend experienced it this year. Compare this to Mumbai Film Festival’s registration process. They had web cams installed on the spot, fill in the details, make the payment and you get your delegate cards in just 10mins. If only there was a way to tell the sarkari babus that the world has moved to better and faster means. There is internet, google, printer, scanner, web cams and all this can happen faster than they can put their stamps on those application forms. So we got our cards. But not the festival brochure. We were given another token card to go to another counter and asked to stand in a long queue where we could submit the token card and collect the fest bag. Why? Why can’t they give the bag, the brochure and everything else with the registration card? I think that’s sarkari by nature. What can happen at one counter, it will be done at five counters by ten people. What’s worse is that they have sarkari work timings at every counter. So its either 10am to 12 and/or 4pm to 6pm and so on. Again, learn from Mumbai Film Festival. Tickets – One good thing that IFFI managed to do this year was to issue tickets. Delegates could collect 3 tickets for each day. (But only three?) So that you don’t have to stand in long queue to get into the theater. But the problem is even though tickets were issued with seat numbers, once you were inside the theater, it was free seating. At one of the screening i was five minutes late and the security guy wouldn’t allow me inside. The reason given was those with tickets have gone inside and now those who don’t have the tickets but are in the queue will be allowed to go inside if there are spare seats. Not willing to give up easily, i fought, abused, pushed few people and managed to went inside. And though it was chaos outside, there were enough seats inside to accommodate all those who were struggling inside. Point is issuing tickets was a good idea but if you don’t know how to implement it, its useless. Dear Mumbai Film Festival, please do it. But just 3 tickets per day? That’s not what film fests are for. Opening Ceremony – This year the opening ceremony of the fest was held in Margaon. 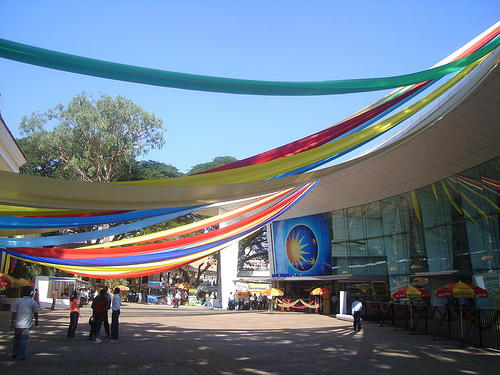 One had to travel about 1.30 hours from the festival’s main venues – Inox and Kala Academy at Panaji. why? And then the film started about 2 hours late. With government protocols and all that desi naach-gaana, it has never made any sense. And they still do it every year. Click here to read a report of this year’s opening ceremony. Vote Of Thanks – A weird controversy happened before the opening ceremony. It was for giving vote of thanks at the opening ceremony. Is there a limit to how ridiculous can our problems be? It seems Film Federation of India, almost toothless body of the film fraternity wanted to give the vote of thanks. That has been the norm so far. But it seems the fest director didn’t approve of it for some reason. And so there was a tiff over it and FFI wanted to pull out of the festival. That means no participation by bollywood stars and directors at the fest. Really? Who participates anyway? And if Shah Rukh Khan wanted to participate, could FFI stop him? Or any other big star or director? I doubt. All that jazz over vote of thanks. This should go straight to Ripley’s Believe It Or Not. French film-maker Bertrand Tavernier was given the Lifetime Achievement Award this year and he thought it’s quite ironical that he is getting his first Lifetime Award in a country where his films have never released. People are not even aware of it. Any answers? Indian Panorama – Who picked the films? What’s the motive? What’s the point of screening those films which have already released in theaters almost a year ago? Opening film was Santosh Sivan’s Urumi which has released in Malyalam and Tamil. Some other films in the same categories are Ranjana Ami Aar Ashbona, Memories In March, Sahi Dhande Galat Bandhe, Shagird, Zindagi Na Milegi Dobara, Adaminte Makan Abu, Traffic, Baboo Band Bajaa, Balgandharva. Can anyone enlighten us please? Mumbai Film Festival at least managed to get Umesh Kulkarni’s Deool. Communication – With three bodies involved in the fest – the sarkari, Entertainment Society of Goa and a private agency, there’s absolutely no communication and co-ordination between the three bodies. Nobody knows anything. They are born to make Goldman proud. At the opening of the Indian panorama, as everyone was waiting for Madhuru Dixit, heard a sarkari babu talking to one of the delegates – Woh aa rahi hai, par kahan se, kitne baje, kisne bulaya hai, yeh toh hum bhi nahi jaante. Hum bhi aapki tarah intezaar kar rahe hain. And this is just the tip of the of the iceberg. Another day i met two hassled film buffs who had just landed at the venue and were trying to find where the film village (for accommodation) is located. The security wouldn’t let them enter because they don’t have the delegate card. And they can’t get the cards until they enter. And like everyone else, the poor souls had no clue that babus dont work after sunset. Managed to help them to get inside. Not sure if they found the village. Last year i had experienced another similar situation. A European filmmaker was lost outside the venue and was trying to figure out how to go back to his hotel. The shuttle service was closed by the time his film screening got over. It was his first visit to India and he could hardly manage in English. I tried calling up few people to help him out. With no response from anywhere, finally helped him with a cab. I am sure he is not coming back to the fest again. Films – One could overlook everything else if the films are good. But with such inept people at the helm of the affairs, you can blindly trust them to fail in every aspect. Except counted few films, most others were either old or bad or haven’t made much news anywhere. They even screened films like The First Grader which i saw it at another fest last year. Ah, just a year late. If there was one film which made the fest any good, it was Werner Herzog’s 3D documentary The Cave Of Forgotten Dreams. The best 3D film i have ever seen. Watch it only in theater, only in 3D. Otherwise it will be complete injustice to the film. DEPTH has never been captured so gorgeously on the big screen and not just for the sake of it. It’s a sad state of affairs. And it’s getting worse every year. Pity that they can’t organise a good fest at a place which could easily become the mecca for film buffs. Nice location, spacious venue by the river Mandovi, proximity to beaches, liquor cheaper than water, and you can even drink at the venue – what else does one need to have a good vacation. But if only the sarkari babus could get out of this film business and just give it “support from outside” as the political parties do while playing the seat game. Or it can learn something from NFDC’s Film Bazaar. The sarkari baggage is there too but in just five years it has managed to at least look professional. Big money talks might not be happening yet but once you step in there, you know it’s going in right direction. Hopefully we will be able to put a first person account of the Bazaar very soon. Dear IFFI Goa, cut the government umbilical cords as it’s killing you slowly. Get rid of the protocols because they just create distances. Get some film buffs and filmmakers in and pick some great films that can get the buzz in. You are already off radar as far as the mainstream media is concerned. Someone will write the epitaph soon. And forget the Cannes dream forever. Just a decent fest will do. Gear up or pack up. Thanks for putting it down lucidly. I was there last year and faced same problems. It’s a shame that this is situation in India’s largest film festival. I was wondering if you could throw some light of NFDC Film bazaar, the better and worse, there? You have written some truths that I loved to hear about but definitely, will hate to experience. I am very disappointed to know about such poor management & looseness with such a big fests around India. These are some events by which India can make some marks globally but unfortunately our country has got every one at wrong place (career & work wise) & no one does his work honestly resulting in such an ugly mess & disappointment. I am fed up seeing such loose work & if you want to make them realize then definitely you will face their loose talk also. I am ashamed today to be part of a country where Money, Power, Jugaad & Self interest matter but talent, work, hard work & art all this things has been thrown our of the scenario. I am not able to find sense in the way people work & getting success in India, now a days. any one going for IFFK? A fairly reasonable assessment except if, as you say “We have been going to IFFI since it moved to Goa.” then how come you are saying “One good thing that IFFI managed to do this year was to issue tickets”. They have been issuing tickets for the last five years now, in case you’ll didnt notice.